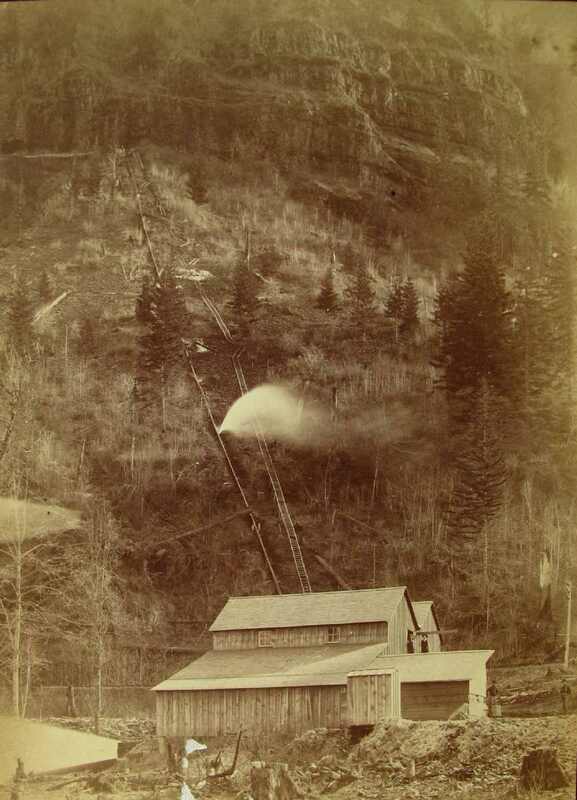 Circa 1890-ish photo of Myron Kelly’s pulp mill, showing two different pressurized pipes coming down from the top of Elowah Falls and Upper McCord Creek. 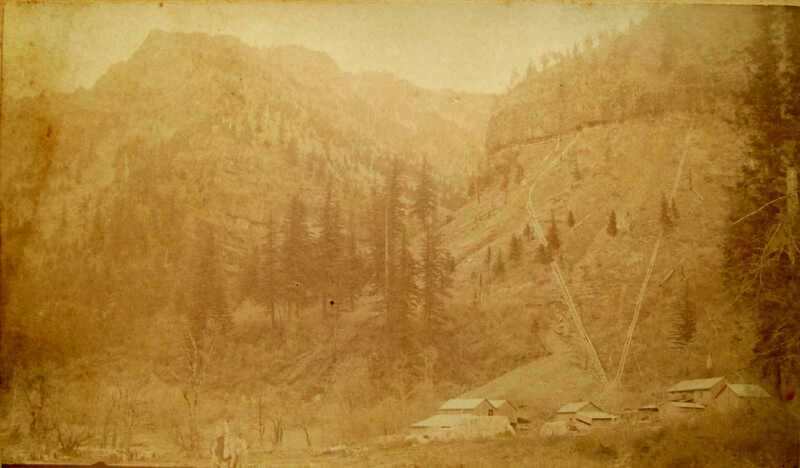 The pressurized water was used to turn Kelly’s mill wheels to grind up Cottonwood trees for paper pulp. 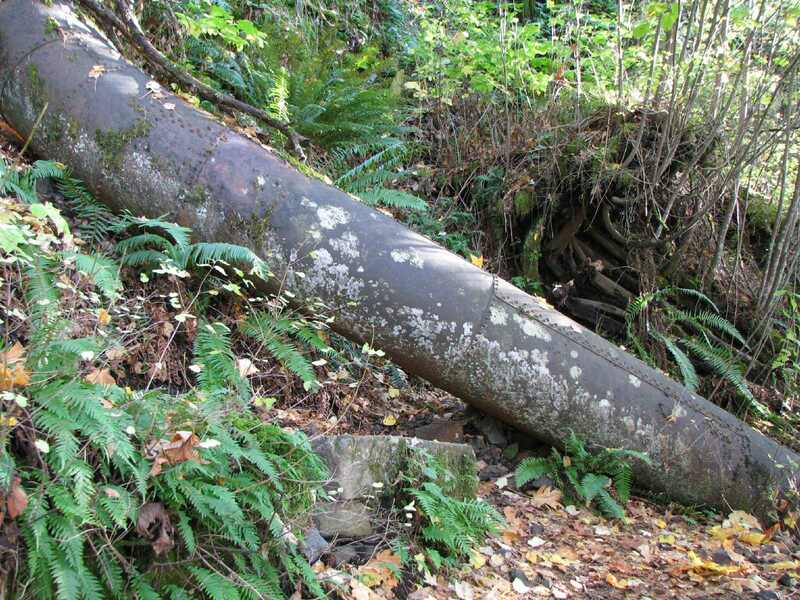 As you hike upwards on the Upper McCord Falls trail you’ll pass remnants of one or both of these century-old pipes. Kelly dug-out the notch in the basalt at the top, where the guard-railed trail is now overlooking Elowah Falls, for his penstock pipe to rest on instead of hanging the pipe off the basalt wall. 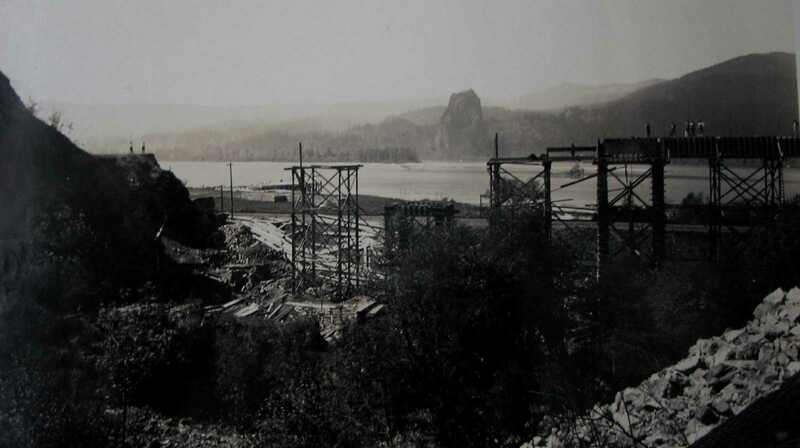 Pages 22-23 of “Fishwheels of the Columbia” history book have some details about Myron Kelly…the only details I’ve ever come across for this Gorge pioneer. 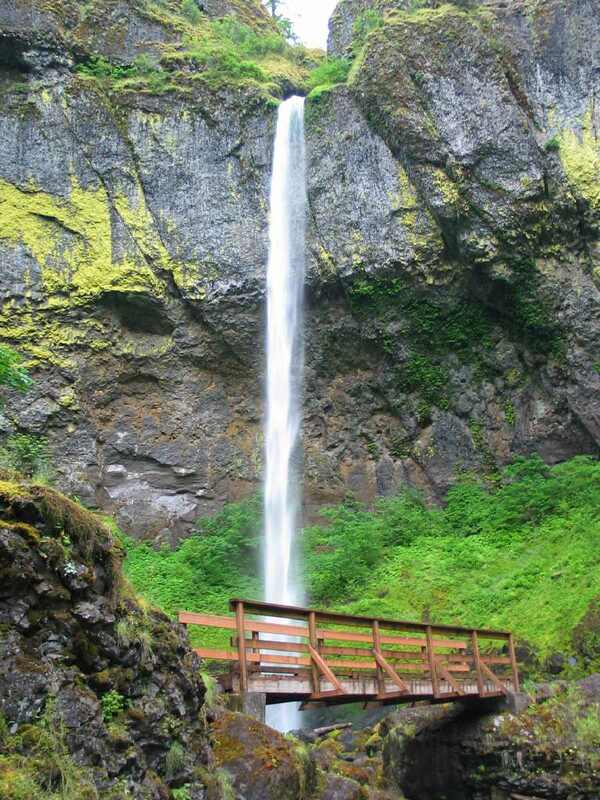 Here are some pix of present-day Elowah falls. 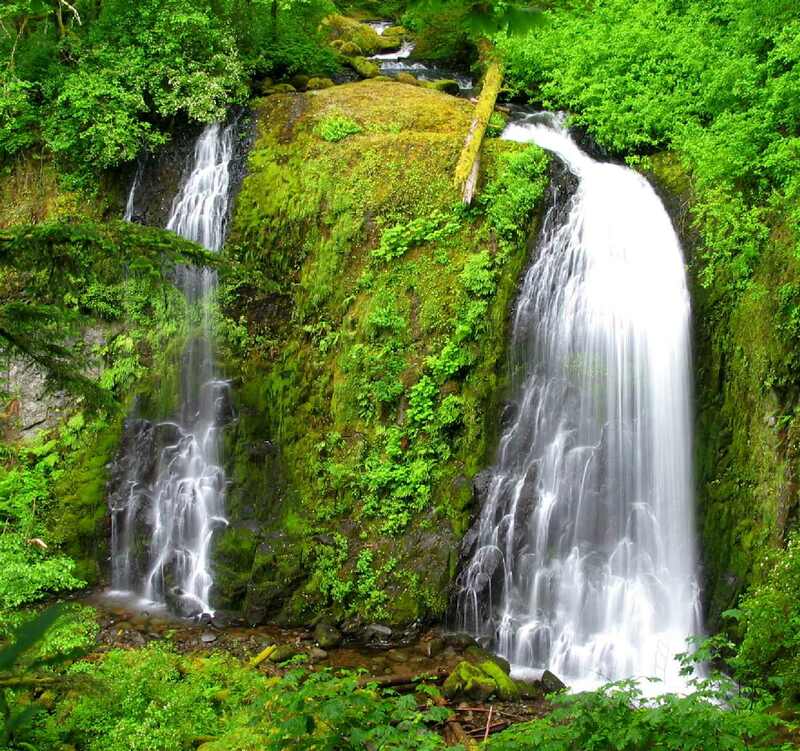 This waterfall was named by a Mazamas committee in 1916. It had been called Pierce falls up to that point. I’m wondering if there is anyone who knows what the wooden water “container” at the start of the trail is about? 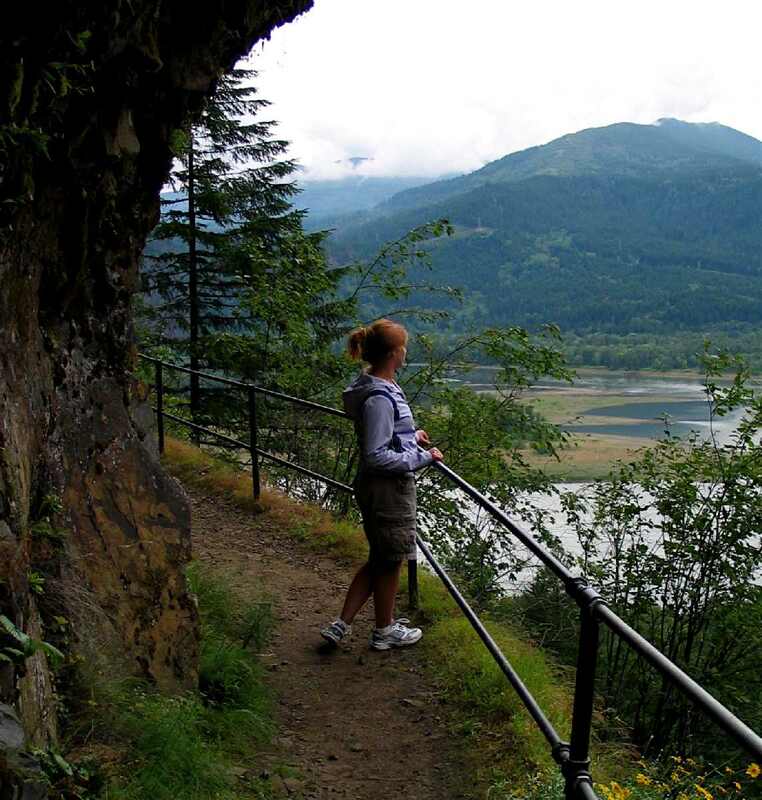 Did this hike about three weeks ago… LOVED IT! Although the sound of the road in the beginning is a slight annoyance, once you get to the top and turn the corner after a wonderful view of not only the gorge, but the tops of the trees in the mini gorge below you, the sound is drowned out and the best part of the hike comes now! (We saw a hawk hunting for prey here!) After an easy rock hop down the the McCord Creek to the top of Twin Falls, we did some more easy scrambling and rock hopping up the creek where we found a series of three small waterfalls! They may have only been about ten or less feet, but the surrounding beauty made it fun to do our first off the trail experience. 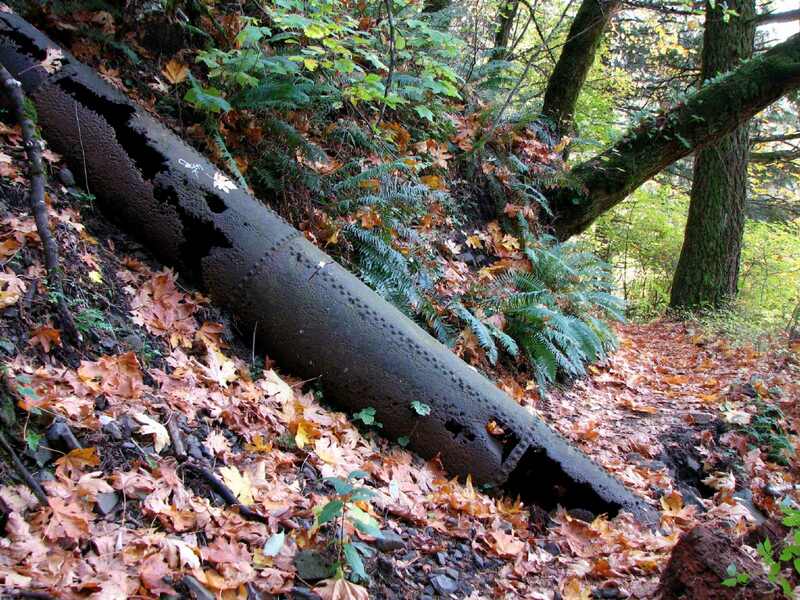 Thanks for the comment on Portland Hikers regarding the old trail on the east side of the foot bridge. I wandered up it today and it was a true delight. I had no idea that was even there! After a few years, STILL our favorite hiking book! Thank you for so many great trips. We did #10 this Independence Day. But, couldn’t find the picnic tables? Found some new one. Maybe been replaced. Could have been in the wrong place too!